The Exorcist (1973) is one of the scariest American horror movies of all time that horror fans enjoy, and it set the path for all exorcism movies that follow. The Exorcist is based on a true event and was inspired from an article about an exorcism performed in Mount Rainier, Maryland in 1949 on a 13-year-old boy. The family of the young boy was protected from the media and the exorcism was performed in St. Louis. The film portrayed the boys behavior to be very outrageous and supernatural which was not the case with the 13-year-old boy and no priest died during the boy’s exorcism that was not the case in the movie. 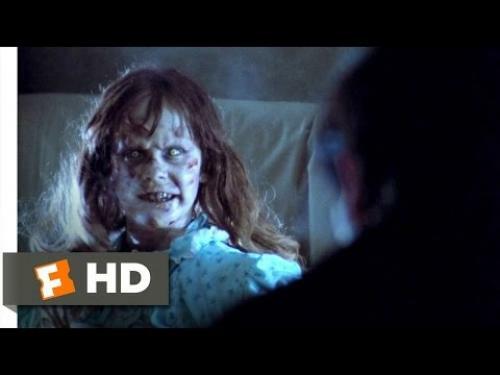 The Exorcist is about a mother who seeks the help of two priests to help her 12-year-old daughter that his possessed. The Exorcist contained all the right scare factors by showing us the viewers, the priest disbelieving that he can do it which made the viewers fear the worst and gave a sense of chills up your spine. The creepy imagery, terrifying sounds and the bizarre exorcism was what the movie a hit plus the awesome acting. The Exorcist is the best exorcism film to date, currently 2015, although it invented all that followed in its footsteps. The techniques used in 1973 was exceptionally good and no movies today can compare. If you are not scared by this movie then please watch it by yourself in the dark and rethink if it is scary or not. The Exorcist had a budget of about $12 million and it grossed over $232 million in the USA and over $441 million worldwide. The movie won two awards in 1973 at the 46th Annual Academy Awards ceremony: William Peter Blatty won Academy Award for Writing Adapted Screenplay and Robert Knudson, and Chris Newman won an Academy Award for Best Sound Mixing. The Exorcism of Emily Rose (2005) is an American thriller drama horror movie that is loosely based on the true event/story of Anneliese Michel. Anneliese Michel was a 16-year-old German girl who showed symptoms of being possessed in 1968. Anneliese suffered from many things including starvation, self-abuse, paralysis, and demonic visions until her death in 1975. Two priests performed exorcisms on her for over ten months because it was believed that she was possessed by several demons, and she died during an exorcism. The movie combined her demonic possession and the realistic courtroom drama with the priest on trial for causing a possessed Anneliese’s death. Jennifer Carpenter as Debra Morgan in TV series Dexter and love her realistic snake-like contortions in this movie that made the movie appear all the realer. Her demonic bodily contortions were often done without the visual effects. 2006 when the Chicago Film Critics Association listed the movie at spot #86 in their Top 100 Scariest Films Ever Made. Jennifer Carpenter won the MTV Movie Awards in 2006 for "Best Frightened Performance." Constantine is a German-American fantasy horror movie that was one of the most fabulous exorcist movies I have ever seen but not the scariest. The movie had a budget of about $100 million and it grossed over $75 million in the USA and over $230 million worldwide. The movie is loosely based on DC Comics/Vertigo Comics’ Hellblazer comic book. The plot elements were taken from story arc (issues #41-46), "Dangerous Habits" and "Original Sins" trade paperback. Comic book writer/creator Alan Moore introduced the character John Constantine while he was writing the Swamp Thing comic book. John Constantine’s character was given his own comic book title, Hellblazer in 1988 which was published by DC Comics under its Vertigo Comics imprint. The movie revolves around Detective Angela Dodson seeking the help of John Constantine (Keanu Reeves) after she believes that her sister did not commit suicide. Angel’s twin sister Isabel was a devout Catholic and Angela think it was a supernatural force that took her sister’s life. John’s mission on Earth is to capture demons and send them back to where they came from - he is a demon hunter. John knows what Hell is like because he had been there after committing suicide and hopes that all of his good deeds will earn him a spot in Heaven. John realizes that the demons are trying to enter the human world as he investigates Isabel’s death. The Last Exorcism (2010) is an American found footage supernatural thriller horror movie the won an award for Best Horror movie from Empire Awards in 2011. The movie opened at #2 at the weekend of August 27, 2010, at the U.S. box office. The Last Exorcism’s budget was $1.8 million, and it grossed over $41 million in the USA and over $67.7 million worldwide. The Last Exorcism revolves evangelical Reverend Cotton Marcus (Patrick Fabian) who is disillusioned and had performed exorcisms for years. He is questioning his faith and started to capitalize financially on his non-belief. He decides to be in a documentary displaying his last exorcism that also exposes his ministry’s fraud of his ministry. Cotton received a letter from a farmer asking for his help to exorcise the devil from his daughter. The visual effects were well done, and I applaud the film crew for the great job they have done. I also applaud Ashley Bell for doing a phenomenal job with her role and for her unnatural ability to contort her body in positions that appear unrealistic and painful. Her body contortions made her possession appear as though the devil was twisting her body, and it was realistic as can be. The sound department fell short, and it would have been a plus to hear demonic voices. The Rite (2011) is a supernatural thriller horror movie that is more religiously based than any other movies I have ever seen and is loosely based on author Matt Baglio‘s book The Rite: The Making of a Modern Exorcist. The book is based on true events that American Father Gary Thomas witnessed and recounted his experience being trained in Rome and his work with veteran clergy of the practice daily. The movie had a budget of $37 million and it grossed over $32 million in the USA and over $96 million worldwide. Father Lucas Trevant (Anthony Hopkins) was possessed so he has experience as an exorcist and a possession victim/exorcisee. Lucas is second guessing his faith as he is about to face evil. Father Michael on the other hand, reminds himself of the time he faced the demon, Baal, and that helps him restore his faith and carry on with exorcisms. I overall love the film although there was no one puking green pea soup everywhere and absolutely no body contouring to head spinning around. There was not much gross factor in this movie which made it easy to keep me from having the feeling of vomiting. Anthony Hopkins gave the best performance in this movie as he tries to find himself and restore his faith. The Conjuring (2013) is an American supernatural horror movie that was based on a true event. Ed and Lorraine Warren were real-life paranormal investigator, and Lorraine is clairvoyant. They were portrayed in this movie as investigators who went to the Perron’s Rhode Island farmhouse to investigate mysterious activities that occurred from 1973-1974. The movie had a $20 million budget and made $41.5 million on its opening weekend and grossed over $318 million worldwide. The current owners, Norman Sutcliffe and Gerald Helfrich of the home where the movie was made are suing Warner Bros., James Wan, and other producers. The owners claim that ever since the movie has been released, their property has been constantly vandalized. The owners said that they found several objects pertaining to satanic cults and has encountered various invasions. It is said that the owners said that they have lived in the home since 1987 and has not encountered any disturbance until 2013 when the movie was released. The Conjuring revolves around the haunting and paranormal activities in 1971 at the Perrons family farmhouse in Rhode Island and their battle with a demonic evil entity. Investigators Ed and Lorraine Warren were called to help the family. Ed Warren performed an exorcism on the mother Carolyn Perron (Lili Taylor) who was being possessed by Bathsheba Sherman’s spirit. The movie had scary images that were bold and strong, and the sound was eerie, haunting and flowed beautifully with the movie. I cannot get over the exorcism scene that is one of the best in the 20th century. Deliver Us from Evil (2014) is an American thriller supernatural horror movie that was based on actual accounts from authors Ralph Sarchie and Lisa Collier Cool book in 2001 titled Beware the Night. The movie is based on the real-life events that New York police officer Ralph Sarchie encountered while on duty. The movie had a budget of $30 million and grossed over $30 million in the USA and over $87 million worldwide. The movie revolves around NY police officer Ralph Sarchie (Eric Bana) as he investigates a series of crimes. He eventually decides to join forces with Mendoza (Edgar Ramirez) who is an unconventional priest that knows a thing or two about exorcisms. The duo tries to help rid the city of evil demonic possessions. 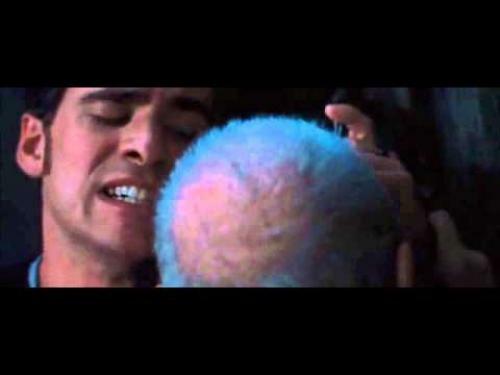 I enjoyed the scene where the guy tied to the chair was being interrogated and had various symbols/writings on his body - I found that to be the best scene especially the shattering glass. The stairway scene was sad because I got emotionally attached to Butler (Joel McHale). Overall the characters did a great job with their parts, and it is a movie that I will watch again. The movie did bite off of other movies that make it not original, but it had enough content to make it stand out from the rest with its superb execution by director Scott Derrickson. Honorable mentions and movie with demon possession(s) but may not contain demon exorcisms. The Exorcist III (1990) is an American drama mystery horror movie that is believed by many to be scarier than the original Exorcist movie, but I beg to differ. This movie in my opinion has no relation with the original movie and is a stand alone because it deals with a serial killer torturing and decapitating people. The original movie dealt with a young individual who is possessed and not a dead person. What gets me is that William Peter Blatty is the same person that wrote the screenplay for The Exorcist (1973) so how can he stray that far to think this movie is similar to the first. Maybe he kept the title to gain more audience that worked; the movie is a great watch. The Exorcist III revolves around a dead gruesome serial killer going around possessing people to continue his killing spree. The demon Pazuzu helps him carry out his killing by spilling blood everywhere and causing havoc on the humans. The movie overall was an enjoyable entertaining watch but should have been titled differently and not be considered part of The Exorcist series. The Exorcist III had a budget of about $11 million and it grossed over $26 million in the USA and over $39 million worldwide. In 1991, The film won one award in 1991 from the Academy of Science Fiction, Fantasy & Horror Films, USA. The film won a Saturn Award for Best Writing - William Peter Blatty.